Is Big Data Changing The Business You Are In Without You Realizing It? Throughout my career, one of the primary ways to classify a company has been its industry. Knowing a company’s industry gave you a solid start on understanding the company. From an analytics perspective, you could make highly accurate assumptions about what data an organization would have, what problems it was trying to solve, and what types of analytic processes would be beneficial for the organization’s business. I have noticed a trend forming where these historical industry classifications and associated assumptions are becoming less and less accurate. I believe that this trend is tied in large part to the rise of analytics and big data over the past few years. Much of the general public still thinks that Nike is a clothing manufacturer. However, recent innovations at Nike tell a very different story that many consumers have not come to recognize. Nike is now in the business of collecting, storing, and analyzing data for its customers. It isn’t unique to Nike. The same phenomenon is being repeated in one way or another at many other companies. Consider the Nike+ product line and specifically the Nike+ FuelBand. While the FuelBand is being sold and marketed by what many perceive to be a “clothing company,” it really isn’t clothing at all. It is an electronics product. Yes, Nike is in the high tech manufacturing business. The product also has associated web and smartphone applications. Nike is also in the software business. But wait, there’s more! The primary purpose of the device is to capture data on your daily activity such as how many steps you take and if you meet your daily activity goals. That data gets uploaded and stored by Nike. Nike is in the data collection and storage business. How do users interact with their data? Through reports and charts within the associated applications. Nike is in the analytics as a service business. And some might argue they are in the health business as a result of their analytics. What Industry Is Your Company Really In? There is one critical nuance that needs to be understood. 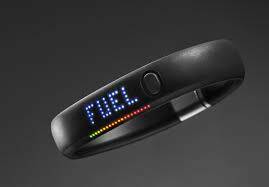 The fact is that consumers won’t choose to buy the Nike+ FuelBand because it is the most fashionable or the most comfortable. Consumers will choose the FuelBand if it offers the most complete data, the best tracking reports, and the best interactive apps. The success of the product will have nothing to do with fashion or clothing at all. Rather, it will have everything to do with data and analytics. Nike knows this and has successfully transitioned to support the requirements of the new product lines. As the ability to capture, analyze, and distribute data continues to permeate more aspects of our lives, more and more businesses will end up entering into market spaces they would not have dreamed of a few years ago. Are there areas of your business that are really more about capturing data and using it for analytics than the underlying product itself? If so, it is important to recognize that fact and to adapt your business accordingly. It would be a critical blunder to continue to focus on what your company used to be, or what customers still perceive it to be, rather than to focus on what will actually drive your products’ success in the future. That success may have little to do with the industry you’ve traditionally been a part of. Nike FuelBands are selling like hotcakes and consumers don’t care that what they may still consider a “clothing company” is selling the product. What those same consumers may not have taken time to realize is that Nike isn’t just a clothing company anymore. Is your organization missing the chance to make a similar transition that challenges the notions of what industry you are in?